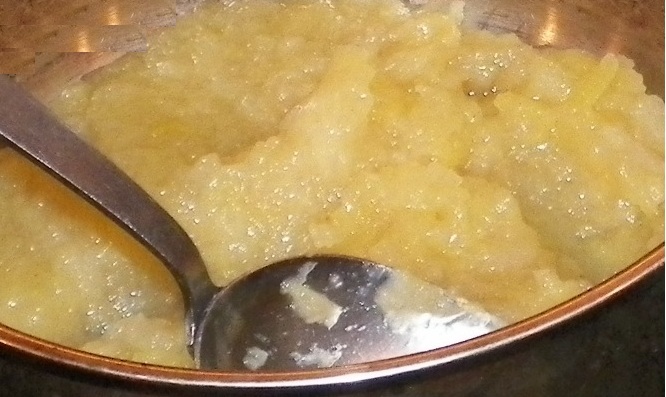 Applesauce is a traditional Danish dessert, and it is called æblegrød. This delicious dessert is really simple and cheap to make. If we have extra apples, we quickly make a batch of æblegrød. In our family the Danish applesauce is a comfort food. A lot of times when you buy applesauce in a jar it is runny. However, we will rather make homemade applesauce, because we can make it to our taste. Our family likes applesauce to have apple chunks and not too sweet. A convenience is applesauce maybe made 3 days in advance. Sometimes we even freeze it. Peel and core the apples with an apple peeler. Cut on the cutting board the apples into 3/4-inch pieces or into cubes. In a large heavy saucepan add water and apple cubes. Bring the mixture to a boil over medium-high heat. The key to making applesauce is to cook down apples with water. Put the lid over the saucepan. Reduce heat and simmer, stirring occasionally, until the apples just begin to fall apart. Let it cook for 5 to 10 minutes. Our family likes to eat the applesauce chunky. We use a potato masher to make the chunky applesauce. Plus, if you need to cook the applesauce more, mashing the applesauce cooks it faster. the other option for smooth applesauce is to use a food mill. Taste to see how sweet or sour the cooked apple sauce is. Adjust sweetness by adding sugar if you like. Add a drop of vanilla extract. Mix the sugar and vanilla into the applesauce. You can use cinnamon in place of vanilla. Serve hot or cold. 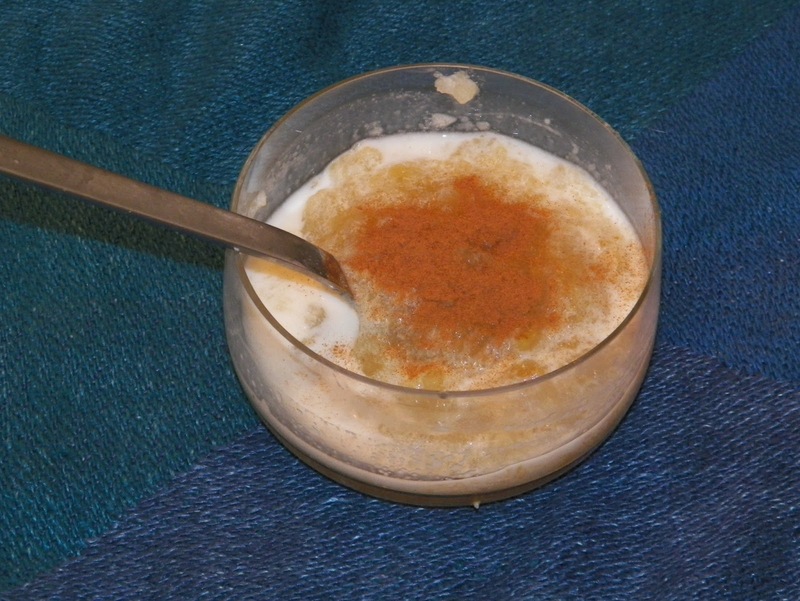 We usually serve æblegrød with cream in an individual dessert bowl. Sprinkle cinnamon or sugar on top for taste. Did you know for many generations in Europe that applesauce was a cheap and convenient way to save the apple crop for later. This was important for surviving long winters. Give your applesauce a twist with these delicious ideas! Mix and match different varieties of apples to achieve different flavors and character. Substitute brown sugar or even maple syrup for some or all of the white sugar to sweeten the applesauce. Add the zest of the lemon while you simmer to give it added flavor. Remove before pureeing. Stir in a handful of raisins or cranberries after pureeing. Next Post Æblekage a Delicious Danish Apple Cake Recipe. Learn How to Make This Traditional Danish No Bake Dessert.